WELCOME TO FANTASY DREAM TEAM! 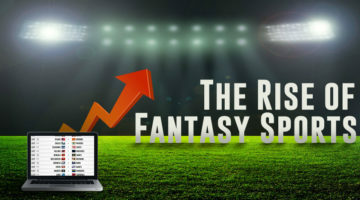 The Best Fantasy Sports Games including Real Time Fantasy Sports, Daily Fantasy Sports, Draft Fantasy Sports, Fantasy Sport Tips, Fantasy Sport Guides, Fantasy Sport Reviews & More. Fantasy Dream Team – The Best Fantasy Sports Games all in one place! Welcome to Fantasy Dream Team! The #1 website for online fantasy sports games. We review the best online fantasy sports games for new and existing fantasy sports players. You will find details of the best real time fantasy sports games websites, daily fantasy sports games websites, draft fantasy sports game websites, fantasy sport tips, fantasy sport guides, fantasy sport reviews, fantasy sport news & more. If you are looking to play fantasy football games, fantasy basketball games, fantasy soccer games, fantasy baseball games, fantasy hockey games or any other fantasy sport games, then you have come to the right place! How To Play Fantasy Sports Games Online? Select from one of the best fantasy sport games websites. You can join a public league, where anyone can sign up for a spot, or a private league, where you need an invitation to play. Some people, typically beginners, play just for fun and some play for money. Be sure to understand the type of league you join, along with its rules as each league is different. League selection is an important factor, so don’t take it lightly. Before choosing your fantasy team, you need to research all of the available players so you can pre-rank them according to your personal preference. Understanding your league’s scoring system and roster setup is critical to creating a bulletproof draft strategy. You build your fantasy team via the draft. The draft is the most fun and exciting day of the fantasy season. During the draft, each fantasy owner selects one player at a time until the rosters are complete. Fantasy sport drafts can take place online, but some leagues — typically friends or co-workers — will conduct the draft in person. Remember to draft all of the correct positions, so that you can have a full team roster. Your fantasy team competes against another team every week. During the season of your chosen sport, the real teams face each other and so do the fantasy teams in your league. The players’ real-time stats are converted into fantasy points by your league provider, and the fantasy team that scores the most points wins the game for the week. The goal is to win as many games as possible to make the playoffs. You make moves to improve your fantasy team. Your team can make the playoffs and win your fantasy league.